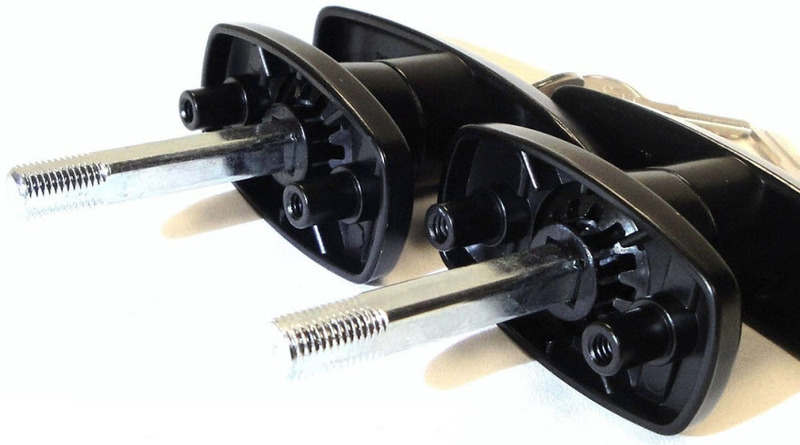 Heavy Duty Black Interior Mount T-Handles. 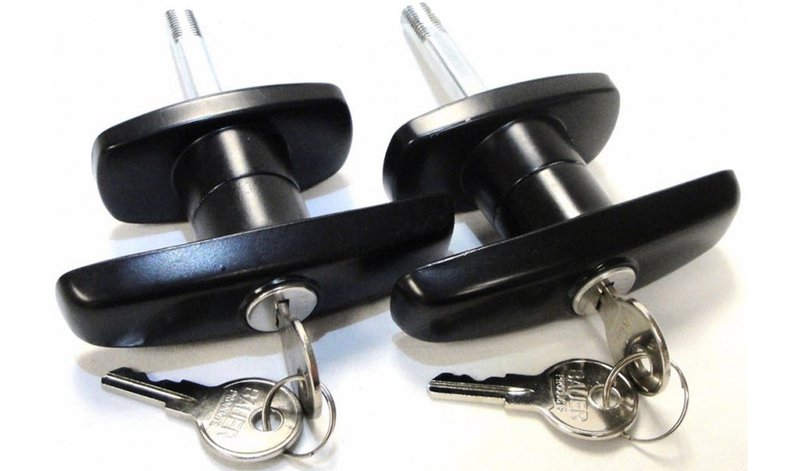 One counter clockwise Heavy Duty t-handle lock. Four screws, each screw threading is tapped with a lubricate.